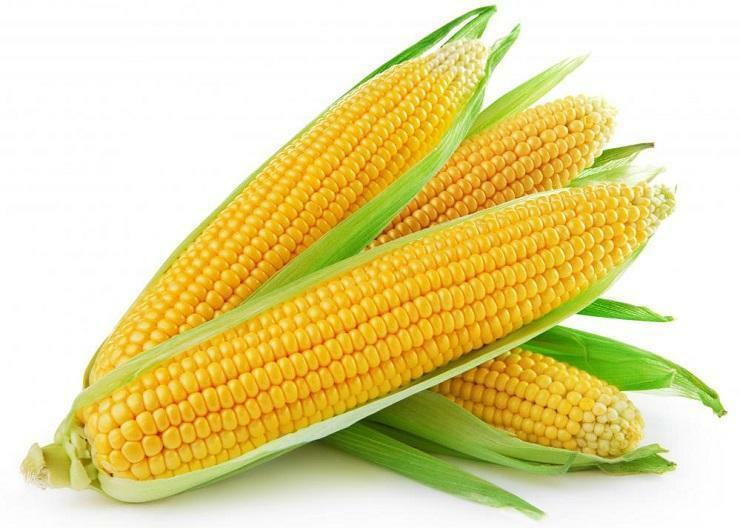 The sweet corn (Zea mays convar saccharata) is a vegetable crop that is highly appreciated due to its amazing taste and due to the nutrients that it contains. The sweet corn needs to be harvested when its seeds are in the milk phase. This is when the sweet corn has the highest taste quality. This can be consumed on the spot or it can become raw material of the canned industry. Also, the ears of the corn that are in an incipient development phase (haven’t grown any seeds yet) can be used in the food industry. When it comes to the sweet corn’s crop technology, the most important phase is the harvesting phase. When the seeds are in the milk phase, they posses a high sugar content, which is the main ingredient of the amazing taste. As the seeds develop towards their full maturity, the taste quality decreases. The sweet corn is considered to have originated from South America, Peru and Bolivia to be more precise. 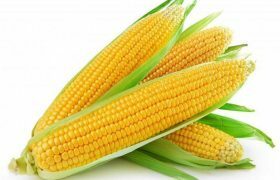 The sweet corn has been cultivated in America for more than 3000 years and after America had been discovered, it started being planted in Europe as well. This plant grows a well-developed root system that can grow up to 150-cm deep into the soil. On the base part of the stem, the plant will grow adventitious roots that assure the plant’s support. The sweet corn’s stem is formed of 7-15 internodes, filled with marrow, and it can have a medium height or around 1.5-3-m. The leaves have a 50-80-cm long blade, 4-12-cm wide, with curved margins which offers them flexibility. The male flowers are grouped into panicle inflorescences, the female flowers are grouped into spadix inflorescences. The pollination is anemophilous (by wind). The fruit is a caryopsis. This is a heat loving plant. The minimum germination temperature is 8-10 degrees Celsius. The temperatures must be high during the vegetation period. If the temperatures are 4.5 degrees Celsius lower than needed, the growth of the plants is decreased. During the pollination and harvesting period high temperatures harm the plant. Due to this the pollen viability decreases and later on, its sugar content will be reduced. The sweet corn loves the light. It will have to be planted on well illuminated soil. This crop also has high water requirements starting with its blossoming phase. The late sweet corn species usually resist well to the drought conditions from countries with a moderate climate. The crop prefers fertile soils, or the soils from the meadows. Choose soils that can fulfill the plant’s climate and soil requirements. 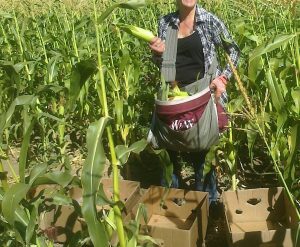 If possible, plant the sweet corn on straight parcels, that are rich in hummus and have a medium texture and that can be irrigated. Make sure your crop is isolated from any other sweet corn crop (at least 200-m distance) as the plants must not overlap. The sweet corn crop can be planted after: peas, beans, soy, broad bean, lentils, chickpeas, potatoes, tomatoes, eggplants, pepper, wheat, barley, oat or rye. Once the soil has had all residues from the previous crop removed, it needs to be levelled and the vegetal residues must be integrated into the soil. The following procedure to be carried out is to apply 30 tons of organic compost per hectare. Chemical fertilizers can also be applied, using 100 kg of active phosphorus per hectare and 60 kg of active potassium per hectare. During spring, the soil must be kept clean. The germinative layer needs to be prepared only when the temperatures allow sowing. 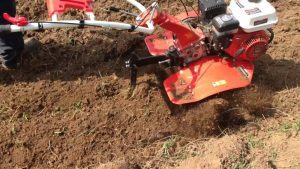 It needs to be prepared using the cultivator at a 10-13-cm depth. 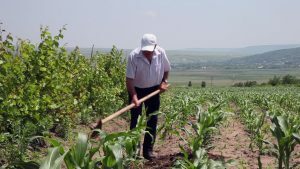 This process needs to be performed once inside the soil, at the sowing depth, the temperature is 8-10 degrees Celsius and the weather tends to warm up gradually. Looking at the calendar, these conditions are met after the 15th of April. The sowing process can be done manually or mechanically. The sowing scheme is the following: 80-cm distance between the rows and 20-cm distance between the plants on each row. When sowing, you also need to apply 60 kg of active nitrogen per hectare. The sowing depth must be 5-7-cm. Before sowing, the seeds can be treated using Seedoprid, Vitavax or Kinto Duo. Also, if the soil is severely infested by pests, Trika Expert can be applied. To read information about the diseases and pests that can affect the sweet corn crop, please search for the dedicated article on our website. This is the most important maintenance procedure that needs to be carried out for the sweet corn crop. Due to the slow growing rhythm from the first phases, and to the reduced surface density, the sweet corn will not survive in the competition with the 800 weed types that can emerge on one square meter. The sweet corn crop losses caused by the weeds are 30-90%. Preventing the weeds can be done mechanically, manually (ploughing), or chemically. The herbicides can be applied before sowing, during sowing or after sowing. When applying herbicides, it is mandatory to choose the proper time to destroy the weeds as the crop must remain intact. The herbicides that can be used to fight the weeds from the sweet corn crop are: Merlin Duo, Equip, Dicopur, Principal, Nicogan, Titus, Mistral, Cerlit, Gardoprim etc. When it comes to the sweet corn crop, it is mandatory to rare the plants. This needs to be done respecting the sowing scheme. These 2 processes are mandatory for the sweet corn crops. The crop needs to be first watered once it is 10-15-cm high. Depending on the environmental conditions, the crop needs to be watered once every 2-3 weeks from the first vegetation phases and gradually the periodicity can be reduced to one week. After 2 weeks from pre-emergence apply around 80 kg of active nitrogen per hectare. The crop can also be fertilized using nitrogen once the fruitions start to grow. The sweet corn crop also reacts very well to leaf fertilizers. The following products can be used: Cropmax, Bionat, Amalgerol, Razormin. This process needs to be started once the seeds have reached the milk phase and the silk has a brown color. If the harvesting process needs to be done in several phases, the proper harvesting period would be from July until the first frosts. This process needs to be manually done at the beginning or at the end of the day. It is recommended to carry out this procedure in several phases as not all ears of the corn reach the milk phase at the same time. The ears of the corn need to quickly moved in warehouses as their storing capacity is reduced.